contest contests happiness indiblogger love-relationship smile Soak Happiness, Spread Smiles! The 8 am alarm blared cruelly, indicating the start of a fresh day. I silenced it as it woke me up. I rubbed my eyes thinking about my days activities. I was assured of lots and loads of work at Office. Tired of attending review meetings, status calls and client calls, I introspected my past few days. I pondered on how my life had veered out drastically. My insatiable thirst for work and my desire to excel in my career only made me lose many near and dear ones in my life. When I look back at my old days, I realized that I used to be a jaunty, naughty young man who mingled with everyone whom I met. My network of friends and circle of trust never ceased to grow. We partied every night at the pub, danced with semi clad girls and enjoyed life to the fullest. Those were my good old Engineering days where I met my sweetheart Anushka. I believe that time is the wisest counselor. It has the power to change things quickly. Never mess with it, it will eventually mess your life. Invest your time in doing constructive things. Doing anything against your heart should be a strict no-no. I lay still on the bed contemplating for 10 minutes before I left for my bathroom to perform my daily morning rituals of shower and brushing of teeth. I got dressed up, examined my tie if it was neat and locked my door. I drove my bike towards the intersection on the 12-22 Noida Chowk.As I travelled, I observed large number of people stranded at the Chaiwallah's shop, gorging over the Bread-Patees and the Cutting chai whose flavour can give life to your taste bud. I zig-zagged my motor bike through the heavy traffic emulating what the fellow bikers did, thus gaining the animosity of the bus drivers who were irritated. The entire environment looked pleasant as I rode through the sodden roads splashing water all over the footpath. I reached office at the scheduled time and I came across my subordinates who greeted me with a smile. I ceremoniously sat over the chair, inside my cabin and looked at my appointments and schedules. 10 AM - Meeting with the Delivery head. 12 PM - Meeting with the Development team. 1.30 PM - Lunch with the Israeli Delegates. 2.30 PM - Meeting with the Onsite Product Manager. 4 PM - Review, Inspection and Walk-through meetings. 5 PM - Meeting with Yacob Stien, Director, IT Mobility services. My life seemed to have been revolving around meetings, status calls and reviews. After cogitating for a while, I helplessly head for the Annex building to the Meeting Room where I was supposed to meet the Delivery head to address our team issues. Being the Project Manager, I realized that I had to meet lots of Expectations - from team mates, Senior Management and from Clients and Customers. I completed my back to back meetings with the customers and ended my day at 6. PM. I traveled once again, heading back for home. I observed the IT folks from Headstrong and TechMahindra who left for their homes. My glance shifted towards the school kids who amiably chatted with each other discussing their class lessons. I accelerated the speed of my motorbike as I learned that there was no other vehicle in sight for miles. Finally I entered the lane which took me towards Sector-12 which sheltered me. As I entered the street, I looked at the kids who cheerfully played inside the Priyadarshini Park, located next to my house. I casually observed the kids playing with the swings and the see-saws. I sat on a garden-seat, thinking about my lost family. After I joined my first job, I married my College sweetheart Anushka. We lived together happily because of which people envied our relationship. Anushka gave birth to our beautiful daughter whom we named Neharika, which means dew drop. Those were the initial days of my career where I was working as a Quality Analyst at Logics India Ltd. Life would have been different if I had Anushka and Neharika around me. They both formed my world. We have nothing permanent in this world. Life is the sum of all choices and people who come in your life form an integral part of your life. They are the one who assist you during the worst days of life. I desperately missed them. This job, which provides me a handsome salary and all comforts proved instrumental in separating me and my family. My wife Anushka believed that I could never be a good husband and a good father. She used to say that I was married to my job. Working late nights had taken a toll on my body. As a result of which, I could not pay much attention to my family. I seldom had time for my daughter Neharika, who was an 8 month old baby then.Anushka, my soul-mate soon started to think that Love had drained out of our life. I reminiscence the worst days of my life, thinking about Anushka and Neharika who formed my world. She took Neharika to Mumbai, where she lived with her parents. My thoughts were interrupted by a little boy of 4. He was dancing and smiling in front of me. He wore a yellow shirt and a black half-pant. At a closer glance, I realized that he didn’t had anything to fret for in life. I soon grabbed my camera and shot a video. In this materialistic world, people run behind money and in this pursuit of money, they lose important relations in their life just as I lost Anushka and Neharika. My wife refused to re-unite with me although I promised her that I would make time for her. She never wanted to come back, thus adding to my plight. The dainty little boy, smart and cute jumped across one swing to another making funny actions and playing with his friends. The others called him Moolya, which was his name. I learned a lesson from him, the important lesson of my life. I looked at him and smiled at him, thinking what if people behaved like him with nothing to lose. I remember how Anushka once explained me the concept of Joy and Sorrows in life. Sorrows are the dirty stains which reside on our clothes. We need to get rid of it under any circumstances. We use detergents to remove the stains to make our clothes look neat and clean. She was a regular user of Surf products which had the tendency to remove tough and powerful stains. The momentary happiness that comes in installments are like the vibrating molecules which acts as a catalyst and aims to destroy the stains in life called Sorrows. You never have to soak yourself in things which please you or make you sad. These transient phases of happiness could literally change your life. While I shot his video candidly, he came towards me several times and made funny faces at me. I soon made a short film out of him and uploaded in YouTube.com. I wrote a poem on little Moolya. He doesn't have a car, or a video game. That little boy who lived every moment. No time to stand, talk or even smile. He teaches me to smile. I spoke to him through his eyes. His inner voice suggested me to bring back my happiness which seemed to have been lost from my life. I realized that I should convince my wife to give me a chance. I soon called her and told her that I desperately need her to support me in this journey of life where we, together with our daughter Neharika would lead a peaceful life. She wept on the phone clearly letting me know how much she missed me. During these years of exile from my family, I realized the worth of my family and I loved them more than before. I went to receive her and Neharika at the Indira Gandhi International Airport. I saw my two angels waiting for me. I hugged my wife and kissed Neharika. I could never tell how much I missed them and how much I loved them. I promised her that I would give importance to family more than my work which caught me in its mysterious web. I promised to give her my share of happiness in her life for I've been her first love and would be forever. Little Moolya inspired me in many ways. He was the main reason why I got my family back. I tell you today that our life is like a butterfly. Its wings represent the different entities of life including family, work, friends, happiness etc. 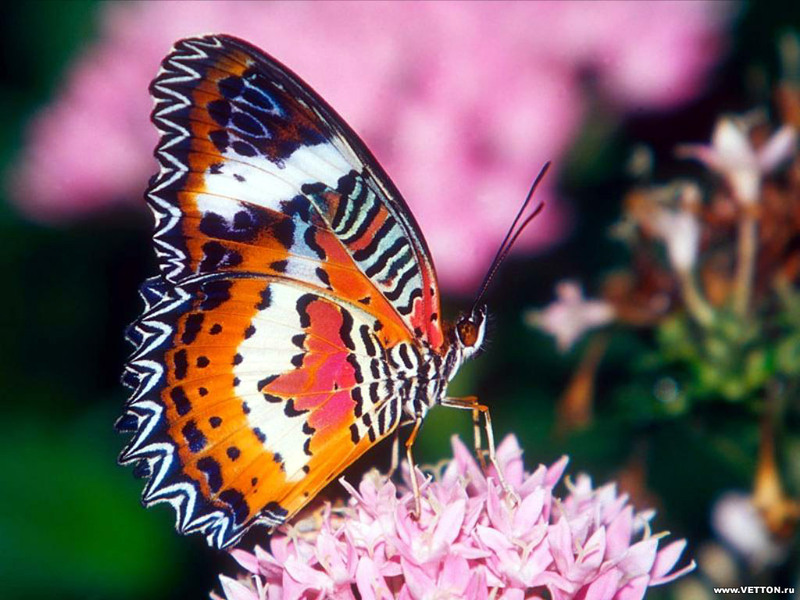 The beauty of a butterfly lies entirely in its wings. Even if one of its wings are clipped, then the butterfly would be just like another crawling insect and thus the essence of its beauty would be lost. We are like this butterfly, who aim to keep our life beautiful but due to certain unavoidable circumstances and constraints, we tend to fail. Our ultimate joy is in keeping our loved ones and people around us happy. We derive worldly pleasure by seeing a smile on our loved ones face. Do not transport your frustrations and tensions from Office to Home. Know that your family expects a lot from you and you need to fulfill your job of a good Son, Father and Sibling. Your family needs you more than your Boss. Awards, Rewards and Appreciations will come and go but Happiness and Mirth never knocks your door quite often. The theme of life is to educe sorrow and melancholy and instil happiness in your life. Sow your sorrows and reap Joy out of it in this farm called life. Embrace Life. Soak No More is the term which you can connect easily to the different emotions which trespasses in your life. Soak No More Tensions, for tensions deteriorate your health. Soak No More Melancholy, for it is not the last resort to all your problems in life. Soak No More Frustrations, for Opportunities will knock your door not once, twice but several times. Just give some time. Have Patience. Soak No More Hatred, for hatred destroys love and love is a key ingredient to happiness. Soak No More Office, for Office is just a phase in your life. Family supports you and stays with your forever. Soak No More Anger, for Anger is root cause of problems. It is evil. Soak No More Expectations, for expectations hurts. Soak No More Dreams, for you need to put realistic efforts to make your dreams come true. Soak No More Disgusts, for nothing in life is permanent. Soak No More Sympathy, for soothing should never be masked by hurt. And Lastly Soak No More TEARS, but #Soak Smile. Beautiful read bro.. I love the choice of names, and the way you brought them back into the character's life.. Superb.. Looking forward to read stories of this genre from your pen.. Such a wonderful read, special to me as I lived very close to 12-22, in sector 55 and my husband works for Headstrong. It contains all the element Ste, a video, a poem and a story. Lovely writing Ste:) I still reside in the friendly neighborhood and so easy to relate to what you wrote! Best wishes for the contest! A lovely read and video, best of luck for the contest. Nice read. Good luck and a nice message conveyed! I was reading all the blogs for this Surf Excel contest and landed here. Your entry is much different than other entries man! Completely enjoyed the read man! Good Luck ahead! Beautifully written with a real strong message pinned to it. Good luck. To me you are already a winner! The story was indeed touching . . you have a very strong hold on fiction , the way you weave the whole story up with a message to carry home . . all the best for the contest :) and hey i read that story you had posted for the blog a ton contest . . .that seems like a definite winner for me :) keep writing ! Thanks for the kind words Maliny. I don't know about that bt i do love writing fictions. And thanks for your views on my BAT entry as well ...God bless. thanks Madhu. I am glad you think so! Hi,i enjoyed my first visit here-----nice post n well deserved prize.Congrats. So touching... Loved it absolutely! That is such a beautifully written story TSW! Fabulous. Love how you intricately weaved the story around the theme of the contest! Rocking! I have no words to express your wisdom. all the best. I could relate to all the client meetings you wrote about.Beautiful post!Touched the heart!